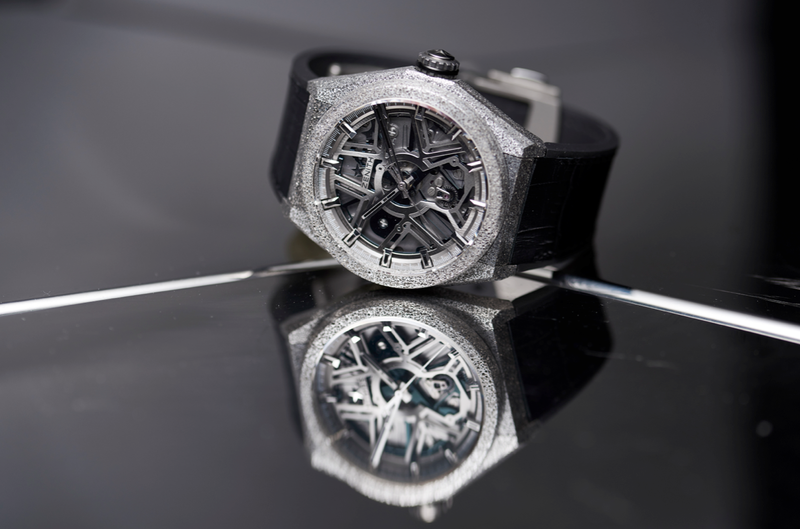 On September 14, a major disruption to the world of horology took place in the form of Zenith's new timepiece — the Defy Lab. The world took notice. And why wouldn't it? 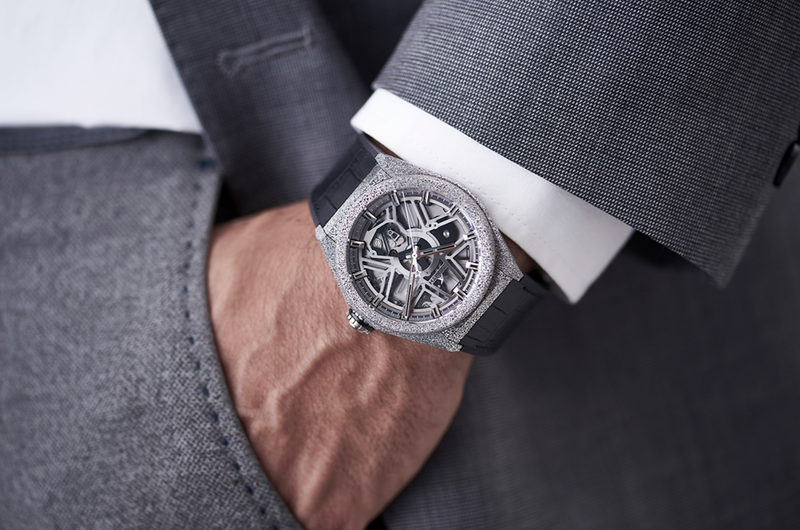 The occasion marked a new chapter in the history of the Swiss watch industry, as well as showcased Zenith's attachment to innovation and the quest for precision. But what exactly was it about the watch that grabbed people's attention? Here are six reasons. 1. Defy Lab is the first and only mechanical watch embodying both an evolution and an improvement of the sprung balance principle presented in January 1675. 3. This breathtaking development beats at the incredible frequency of 15 Hertz, with an amplitude of +/- 6 degrees, and is endowed with an almost 60-hour power reserve – more than 10% more than that of the El Primero – despite a three times higher frequency. 4. This frequency endows it with an exceptional – almost 10 times higher – degree of accuracy. Its mean daily rate is precise to within just 0.3 seconds. (By way of example, one of the criteria for COSC “chronometer” certification is the average daily rate on the first ten days of testing: from -4 seconds to +6 seconds, meaning up to 10 seconds per day). 5. Moreover, it remains accurate far beyond 24 hours of operation (the moment when mechanical watches begin to lose their energy and thus their accuracy). This new oscillator maintains the same degree of precision for 95% of its power reserve. 6. 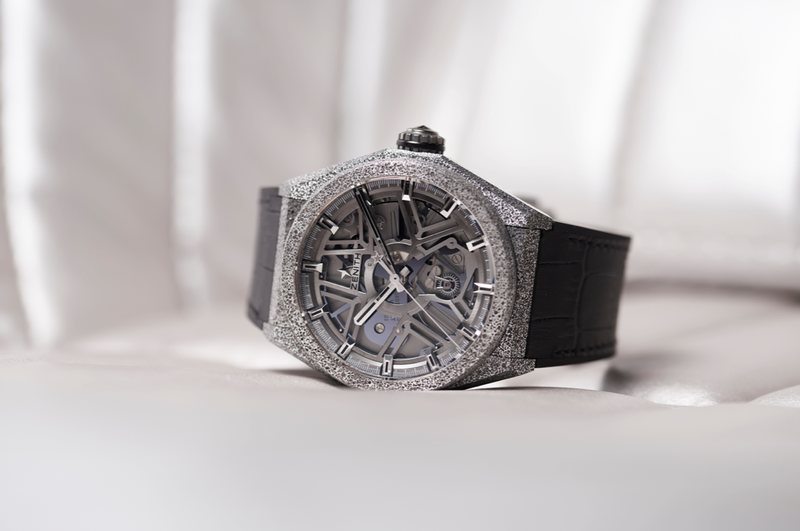 First watch with a case (44 mm in diameter) made from Aeronith, the world’s lightest aluminium composite material. This new material resembling an extremely solid metal foam was developed using an exclusive high-tech process and features a density of just 1.6 kg/dm3, which is 2.7 times lighter than titanium, 1.7 times lighter than aluminium and 10% lighter than carbon fibre.